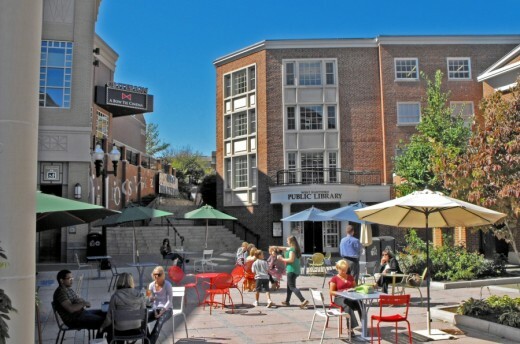 -- continued from part I where West Hartford, Connecticut, Community Services Director Rob Rowlson spoke about how efforts to strengthen the existing West Hartford Center were followed by a huge opportunity. “The biggest piece in the puzzle was the two old car dealerships. Both came available at about the same time in 2000. They were polluted sites, but the Town wouldn’t have been able to afford to clean them up. Only economic development and private dollars can clean up these kind of sites. I had just heard about Whole Foods and aimed at getting Whole Foods into one of the dealership sites. They came. Their 40,000 square foot building was very exciting for the town." The arrival of Whole Foods was one key to triggering the Blue Back development (portions of which are seen across the street from Whole Foods). "Another developer got control of the other car dealership property. We talked to them about what we wanted … and we told them they had to have housing with the retail. But the developer was resistant to that. But we knew the strongest housing market in West Hartford has been residential properties close to West Hartford Center. They ended up building several dozen small studio apartments. It worked because the strongest demand for housing is from 25 to 35 year olds. Should they have built even more housing? No, having a limited supply helped drive the high demand. I spent a lot of time with the developer on architectural vocabulary. 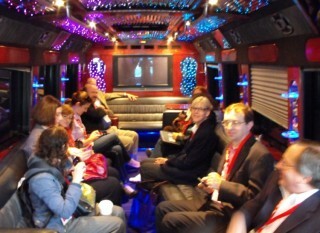 For example, we didn’t want everything in the same dark red brick. We wanted some contrast, like you see in the Crate & Barrel, or in the lighter colored brick down the street." View down Memorial Drive into the Blue Back development. Crate & Barrel is on the left. The Town Offices, not visible in the photo, are just to the right of the open space. This office building -- with retail on the ground floor -- uses cream colored brick, a nice contrast with the red brick used in many of the other buildings in Blue Back Square. It's located on the southwest corner of Isham and Memorial Road. 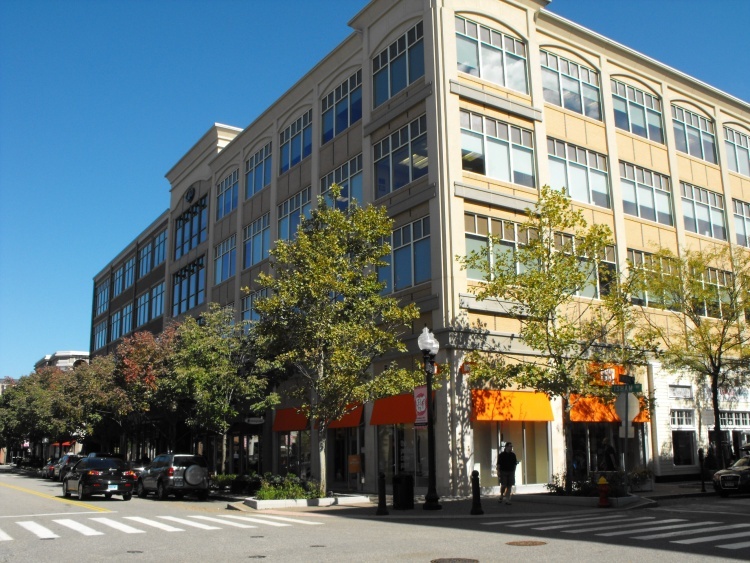 This long building in Blue Back Square, housing the Heritage Condominiums with retail on the ground floor, had its' facade broken into section to reduce its apparent mass and make it more compatible with the pedestrian-oriented scale of the overall development. The end result in 2007 -- Blue Back Center, named after West Hartford resident Noah Webster’s book, the Blue Back Speller. 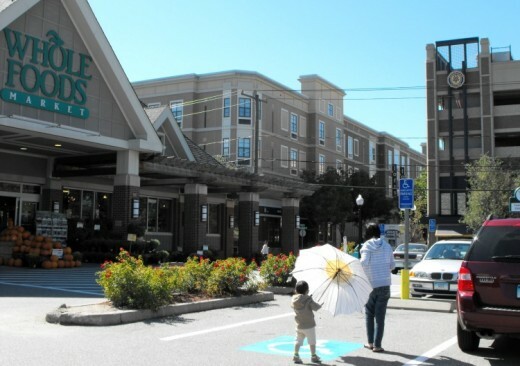 It added 350,000 square feet of prime retail space, including new movie theaters; an expanded public library; 48 apartments and 59 condos above the retail; two large new city-owned parking garages (with 1,000 spaces); an attractive outdoor community gathering place; plus lots of trees and plantings. 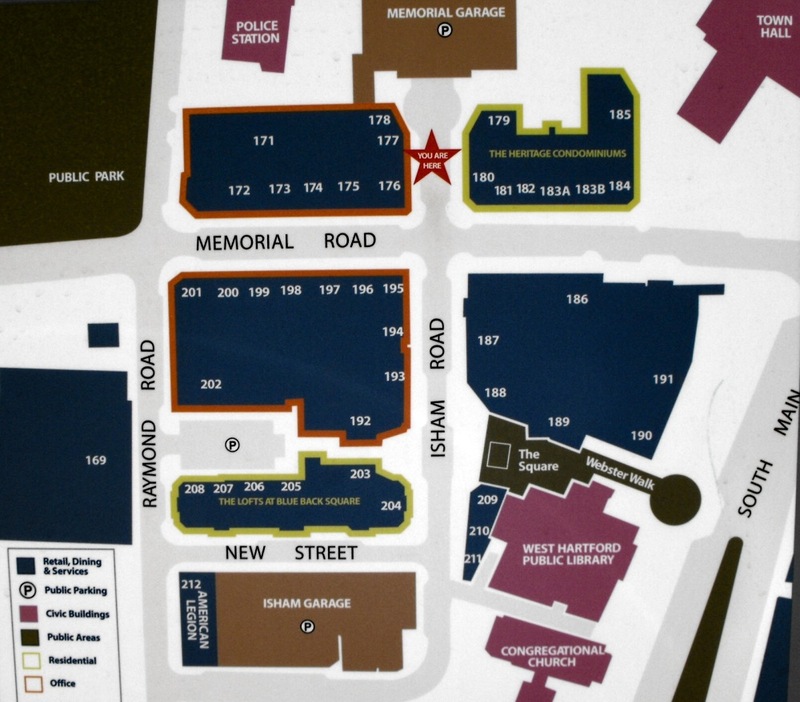 In this map of Blue Back Square, retail is in blue; public spaces in maroon; and the two garages in brown. Click on image to view it at larger size. Hartford Hospital also leases office space in Blue Back for a regional wellness center. 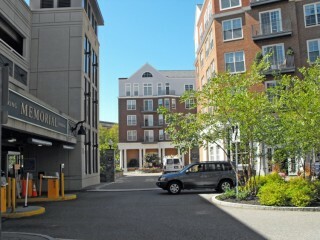 Entrance to the Memorial Garage at Blue Back Square is on the left, close by the condo portions of the development. Condo owners have a "nest" of spaces in the garage. 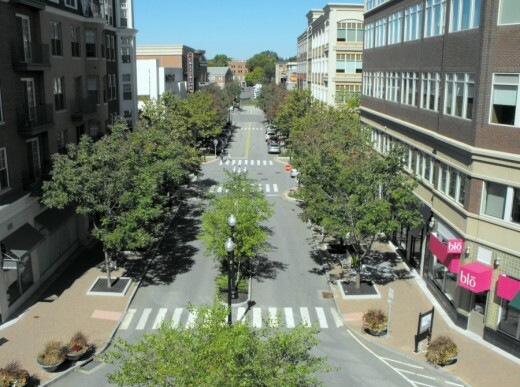 The photo below, taken from the garage roof, looks down tree-lined Isham Street. All told the Town invested over $48 million for public improvements -- the garages, the library addition, streets and sidewalks, and other infrastructure investments (the developer’s investment came to $250 million). Not surprisingly -- given West Hartford’s savvy approach to spending municipal funds, the tax and parking revenue (especially from the two garages) will more cover the annual debt from the Town’s investment in Blue Back. Walking down Isham Road in Blue Back Square. Walking through Blue Back Center it all seems to fit together nicely. The development avoids the bland sameness you too often see in large new developments, while at the same time not being overly cute and Disneyesque. 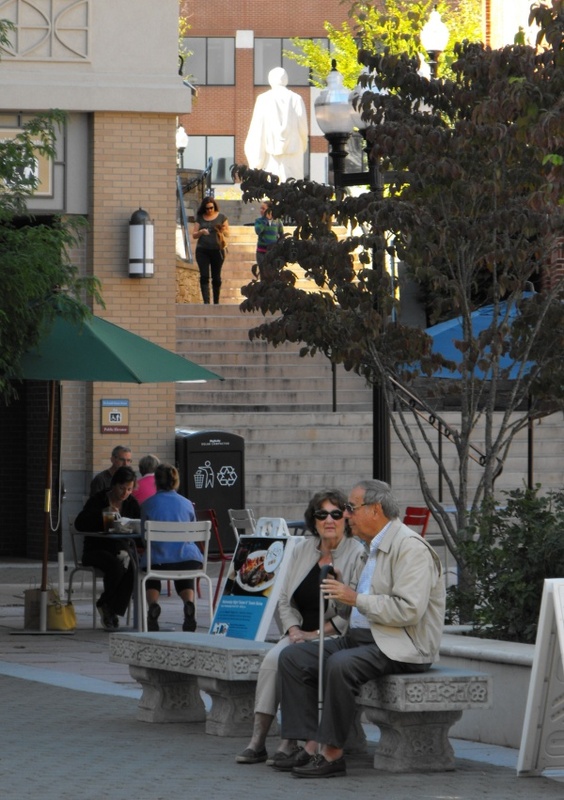 “Occasionally, after visiting West Hartford Center, I've returned to my longtime home in downtown Hartford disheartened and with a measure of envy. Often, though, I note another facet of my experience: It all seems a bit too easy. Yes, the streets, shops and restaurants are filled. 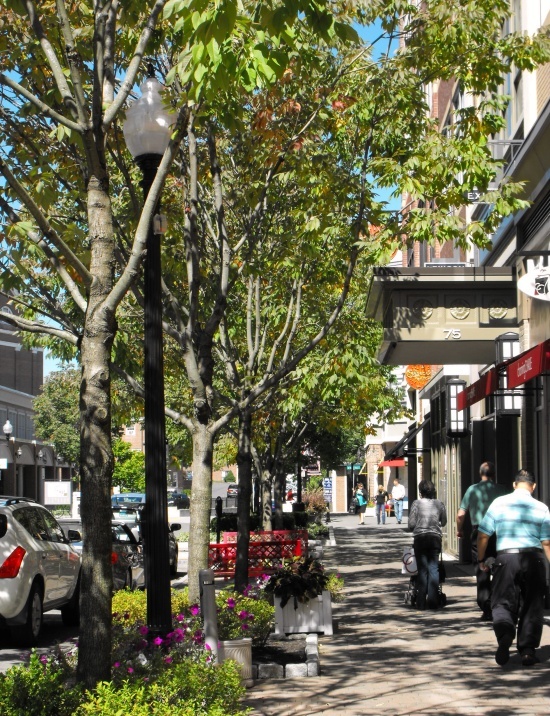 You feel part of the picture-perfect American town -- warm, inviting, clean, affluent, seemingly free of all the problems of mixed-culture urban centers, but not quite real.” -- from “People Working to Make It Better” [scroll down till you spot the article after using the link]. However, Campo is likely in the minority on this. 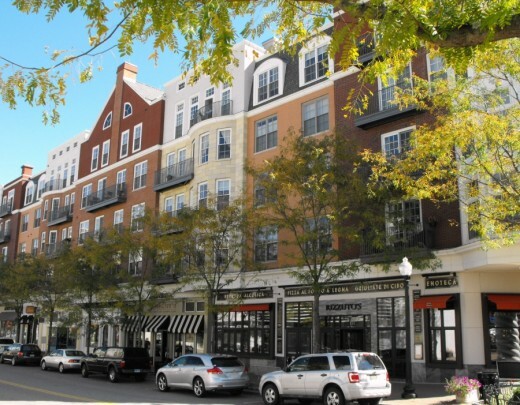 Given the strong leasing of retail space and apartments -- even during a weak economy -- many seem quite pleased with the atmosphere at Blue Back Square and West Hartford Center. Not quite everything is ideal in Blue Back Square. 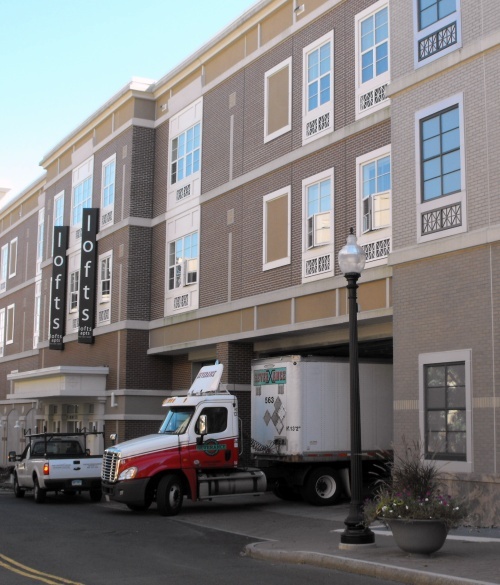 Rowlson noted that due to the small blocks and compact mixed-use development, it's been a challenge to squeeze in delivery docks. This one is located below some studio apartments on New Street across from the Isham parking garage. 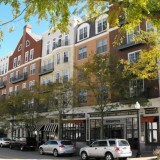 -- From "A Blue Back Boom: Despite Economy, West Hartford’s Urban Lifestyle Gamble Pays Off” (Nov. 16, 2008). Main courtyard in Hartford's Blue Back Square. Barnes & Noble is to the left, the town library is in the building to the right of the steps leading up to Main Street -- and West Hartford Center. Webster's Walk, or the "mini Spanish Steps" in Blue Back Square. 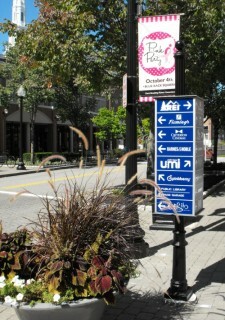 Blue Back Square and West Hartford Center both struck me as having a quite vibrant atmosphere. Yet they also felt safe and comfortable. [Note: feeling safe was a positive attribute, said planner Don Poland, mentioned by just about every person he interviewed about the adjoining West Hartford Center]. One other essential ingredient is the presence of ample trees and well-tended flowers just about anywhere you look. 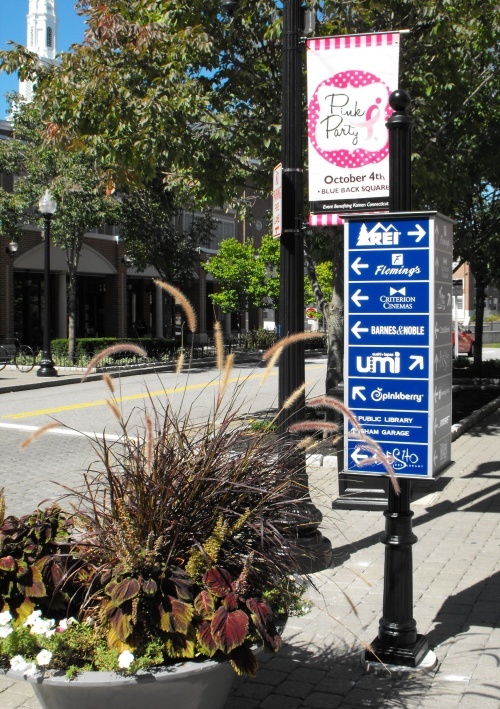 Planters line every block in Blue Back Square. On the other hand, West Hartford did engage in a negotiated process with the developer, where the Town -- despite its not having a detailed, officially adopted “rule book” -- didn’t shirk from influencing the look and feel of the development, and its mix of uses. At least, that’s how Rowlson described the process to us. Has West Hartford been lucky in the approach it’s taken? Or has it been smart? Is the success of West Hartford Center and Blue Back Square largely due to its higher income profile and demographics -- dramatically different than those of nearby Hartford? Or have town officials effectively seized opportunities that presented themselves, while working closely with merchants and developers? It’s hard to say from a brief visit. 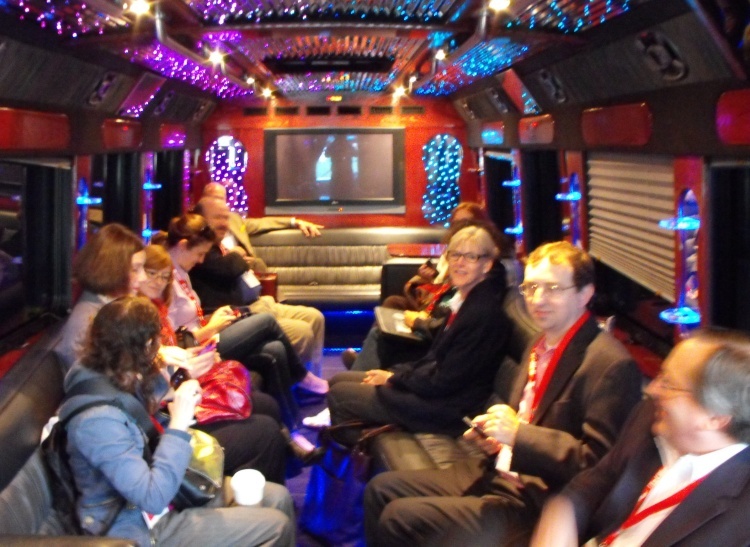 But on the bus ride back to Hartford, as several of us chatted, there was admiration for what West Hartford has accomplished, but questions about how well their approach would work elsewhere.